Over the past several weeks, ActiveCampaign has released several feature updates to their platform, including changes to the user interface, the workflow for automated emails, and how deals are assigned to sales reps. Drag and drop, to add content to the email template, reorder content, or add rows or columns. Resize blocks, images, columns or rows by dragging. Edit images by dragging, cropping, or altering an image, all of which can be previewed in real-time. Add new content options, including buttons, line breaks and spacers. 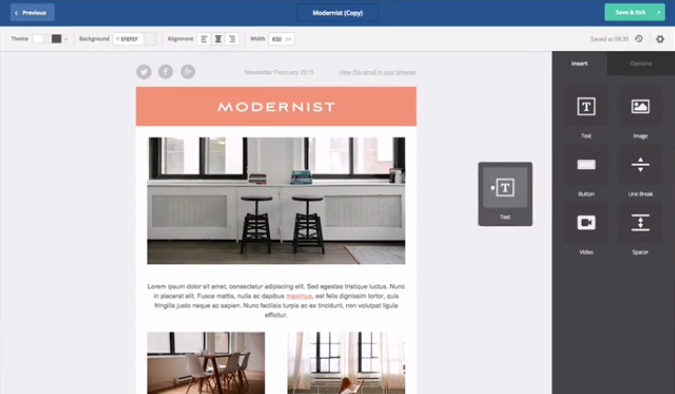 The updated email designer offers live previews of all changes. In addition, the interface now allows for multiple users to be in the email designer simultaneously, with insight into who the other users are and the changes being made. Another update to the user interface is the automation of mobile optimization, a feature that according to the ActiveCampaign automatically makes emails mobile friendly by optimizing the components of the email for proper rendering on smartphones as well as desktop computers. In addition to the user interface changes described above, ActiveCampaign has also updated the platform’s automation workflow capabilities. 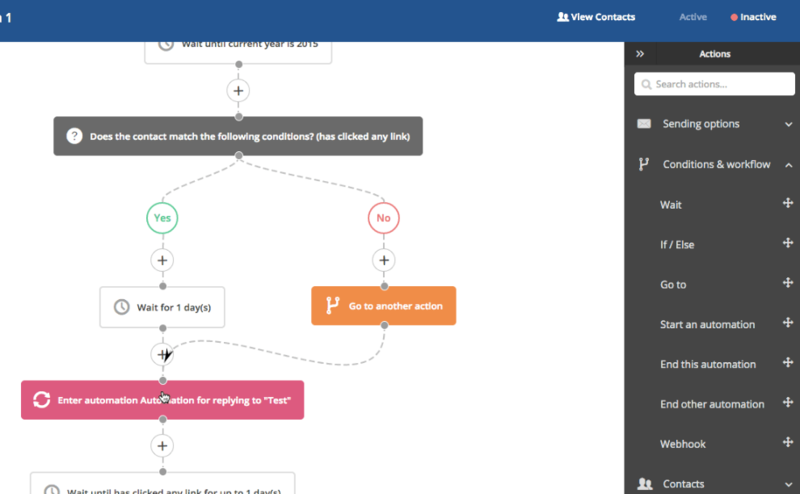 Now users can add a “go to” action that can take a prospect to any other action in the automated flow, for example to another side of an if/else, go to actions can be draged onto the canvas to change the flow. Users can also set up time limits for a “wait until” condition, giving a conditional action a set maximum time to wait for. When workflows grow more complex and harder to view on a computer screen, users can zoom in or out to view the entire workflow or specific elements of it. Automations can also be set up to start manually or to be triggered by another automation. Lastly, ActiveCampaign has automated deal assignment. 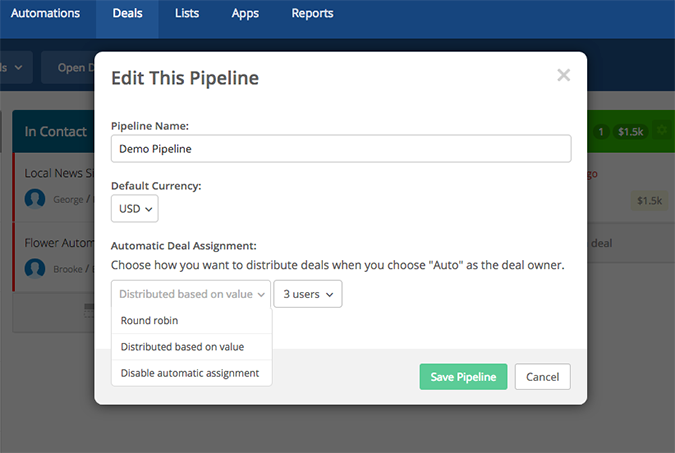 Managers can set the platform to automatically assign deals based on either a Round Robin format, or on a value-based one that will distribute the value of deals equitably. For example, if one rep is assigned a deal worth $40,000, and two more deals of $20,000 each materialize, these would go to the next salesperson in line to make sure deals are assigned equitably. Users can expect more releases in the coming months: ActiveCampaign says they are working on updates including social content for the interface, and UX updates for contacts, deals.